I think I’ve mentioned here on this blog somewhere that I ran the planetarium when I was in college as a work-study job. Every November and December, we ran a Christmas star show, which showed that the story was a lot of nonsense. But people still flocked to it because they didn’t pay attention and were sure that it was about them and their religion (rather like Christians being sure that the song “Take me to church” is flattering to religion. Hint: it isn’t). Now, some versions have footnotes that say that this “really” means that the magi saw the star while *they* were in the east, but the translations, ostensibly all guided by God, don’t say this. What they actually say is that the magi (a Persian term) saw this star as it rose. Stars rise in the east. 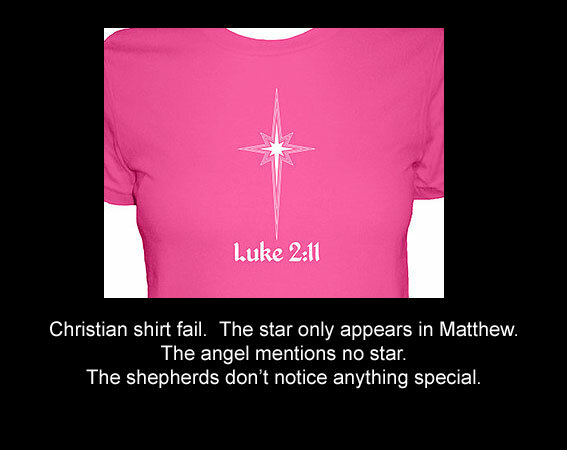 Oh and Luke doesn’t mention a star at all, something that would be pretty obvious to shepherds (who aren’t out in the fields in December…) Sigh. It’s a bit hard to follow a star that is in the east, to find someplace west of you, unless you go the loooong way around. There is an obscure prophecy in Numbers that mentions a star out of Jacob and it seems that this star had to make and appearance to validate the story. As for the “war on Christmas”, I think it’s best done by idiot preachers screaming that Santa isn’t real to children (of course it was in the US). Seems like someone isn’t getting the attention he thinks he deserves, tsk. 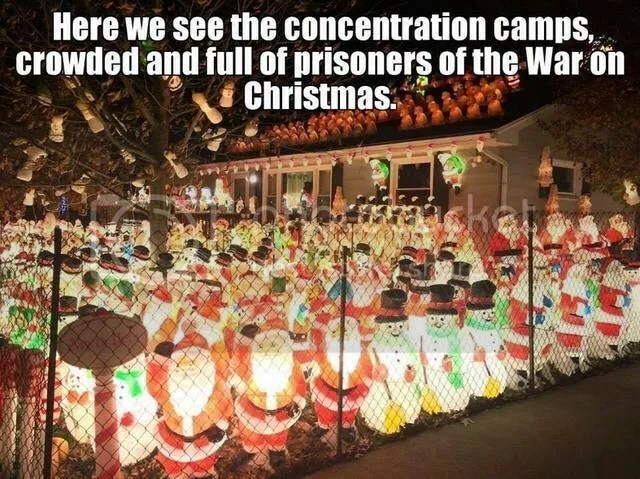 I love the War on Christmas! We had a planetarium at the Air Force navigator training school. It was used to learn star identification (done so easy today with my iPhone). We also did a Christmas show, but I don’t recall any of the scripted details. We did point out some celestial theory options of how something bright may have been, scientifically, in the sky. I did it as a volunteer for a year or two. I never thought of the USAF doing that. 🙂 In my astronomy courses in college, the prof made us learn the northern constellations much to the misery of many in the course. There’s a lot of cool things the star could have been, so at least people got exposed to the ideas. Another celestial navigation training device was a huge wire-mesh ball with small light bulbs of major starts and planets attached. We would enter it to a sextant station for practice. It was very difficult to keep it semi accurate, so was eventually abandon. I can imagine. I love finding out about this type of thing so thank you very much for telling me.